Cloud computing is the latest buzzword in the internet space. As businesses try to find ways to cut costs due to increased competition and pressure on bottom lines, Virtual Private Servers, also known as cloud servers, have become quite popular due to their cost-effectiveness as well as other benefits that they provide. As businesses try to find the best web hosting solutions for themselves, they get flustered learning the nuances of a cloud server and a dedicated server. 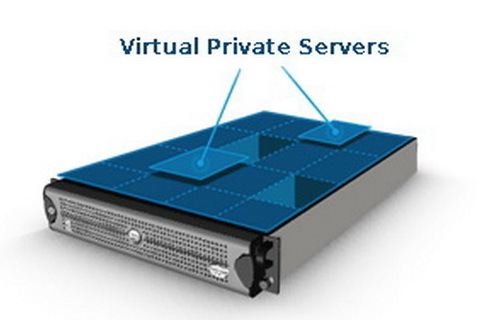 Here in this post, we will the differences between the Virtual Private Server and dedicated servers. Virtual Private Server or Cloud Server model suits small or medium businesses that are looking to optimize their IT infrastructure yet don’t want to incur the higher costs of fully dedicated server hosting. VPS is just like owning a set amount of space in an office building. Virtual private servers provide the performance of a dedicated server running on a machine located in a shared environment. Through root access, customers get the full control of the server just like a dedicated server. So you can install or run any customized software or applications specific to your business needs. Unlike a shared server, the performance of the websites running on your server is insulated from the other websites. VPS servers give better performance and your websites load much faster than they would on a shared server hosting. A dedicated server is an ideal solution for the medium or large businesses that have outgrown a VPS server. Dedicated servers provide you the full control or nearly full control over your server for its use. Like a VPS, you may choose the operating system or compatible software of their choice which is most appropriate for your business. Majority of the VPS benefits of VPS are also applicable to a dedicated server. However, there are a couple of features that differentiate the two. Unlike VPS, you need to buy or rent the physical server, and also incur costs related to maintenance or management. Dedicated servers are mostly housed in Data centers, similar to collocation facilities, providing redundant power sources and HVAC systems. In contrast to collocation, the server hardware is owned by the provider and in some cases they will provide support for your operating system or application. You may either use a managed or an unmanaged dedicated server as per your convenience. VPS servers cost far less than a fully dedicated server as you don’t need to buy any physical server or incur costs on managing or maintaining your server. VPS servers allow you to pay as much you use, on a monthly basis. So you pay only for what you have used never charging for anything extra. VPS also provides you the flexibility to increase or decrease your resources depending on the actual demand. So for example, in case you are foreseeing a heavy traffic during a particular festive season, you can be better prepared by increasing the server specifications accordingly. Selecting the right server is a crucial decision for your business. Depending your business goals, current requirements, future strategies, growth objectives, you may decide which server, Cloud/ Virtual Private Server or Dedicated Server, will help to meet the growing demand and give your users the best experience.